Imagine this, you have done the work and now you are ready to publish your first book. Where do you begin? How do you find an agent? How do you secure a publisher? What do you do when you get one? Let’s say you find a publisher and they give you that all important book contract. How do you understand it? What should you look out for? Are some clauses more important than others? Not all contracts are created equal, and, not all lawyers have firsthand experience in negotiating book contracts and getting published by a major NY publisher -- but Francine Ward has. 7 strategies for getting a book advance. 5 things you must do -- like it or not. 4 things Francine wished she had done differently. The difference in book contracts (and publishers) not all contracts (and publishers) are created equal. 7 extremely important clauses to be aware of (it’s not the advance or royalty section). If you are interested in getting published, this may be the most important seminar you ever attend. Presenter: Francine Ward is a 1989 graduate of Georgetown University Law Center. 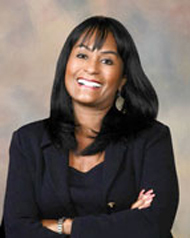 Recently she was named one of the "Top Lawyers in the Desert" by Palm Springs Life Magazine. She brings you expertise as a business and intellectual property attorney with a focus on copyright, trademark, publishing, social media, and business law. Francine’s experience marries her legal expertise in the area of publishing law and her first hand experience as a published author, who earned a 6-figure deal from Random House for her very first book.